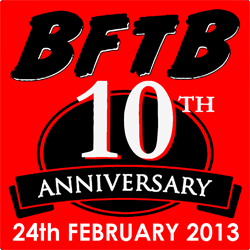 BFTB 10th Anniversary - Rising Sun Webcomics- BLOOD FOR THE BARON!!! Now that the Rising Sun Comics project has been completed, Jamar Miller has very kindly donated the complete digital archive to BFTB! I shall be releasing them at one page per day here, then adding them to the site archive at the end of each issue. Thank you so much, Jamar! !